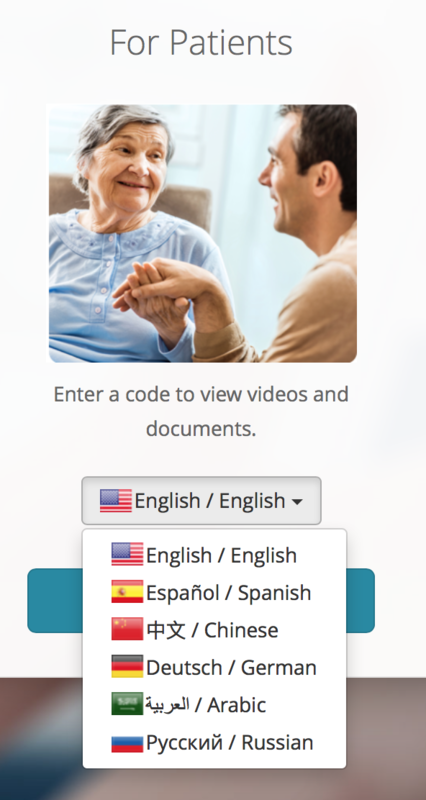 If you want to share content with patient who speak Spanish, German, Russian, Chinese (Traditional), or Arabic we now offer a translated experience! 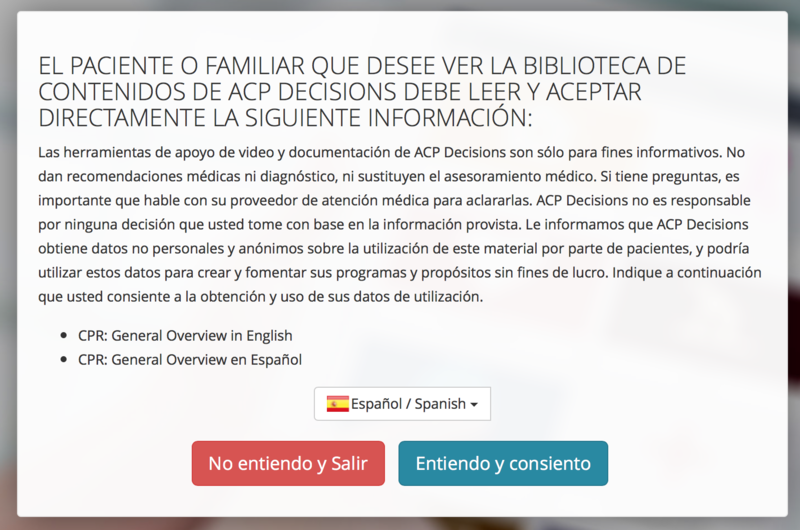 For example, if a patient was issued a code in Spanish, they have the option of viewing screens in Spanish. 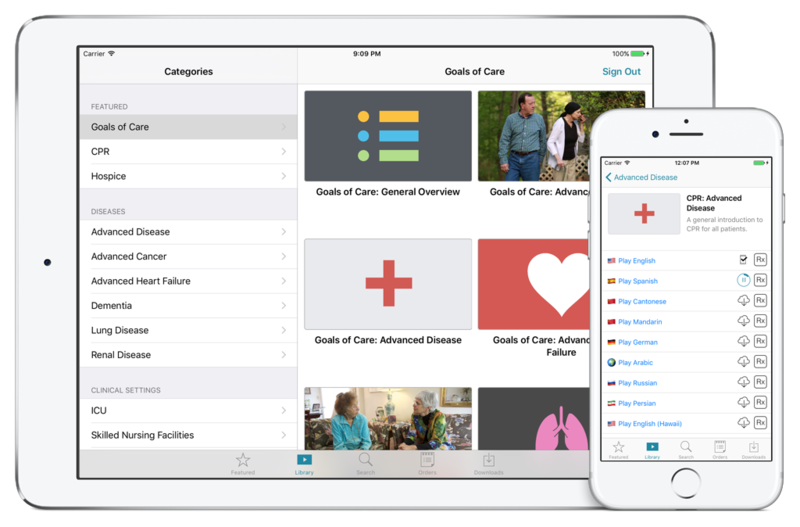 The ACP Tools Mobile App makes it easy to use the ACP Content Library on iOS and Android devices. This month we released an iOS update that included performance improvements and fixed a few bugs. We will be releasing an Android update with performance improvements and bug fixes shortly. Update to iOS 10 or Android 6.0+ for the best possible experience.